We can calibrate and dispatch a wide range of instruments within 3 working days of receipt. If we don't, the service is free. T&Cs apply. 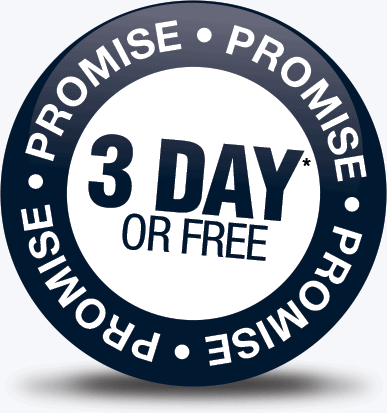 The 3-Day or Free Promise is available on any instruments marked as ‘yes’ in the calibration section. We’re so confident that your test equipment will be back within 3 working days of receipt that we will refund you if it is not. Calibration(s) must be paid for and funds cleared upon receipt. 5 item limit. The relevant paperwork must be fully completed and included. Related accessories must be included. Repairs / faulty items are exempt.